When it comes to Alzheimer’s disease, scientists usually — and understandably — look to the brain as their first center of attention. Now researchers at Tel Aviv University say that early clues regarding the progression of the disease can be found in the brain’s metabolism. In very early stages of the disease, before any symptoms appear, metabolic processes are already beginning to change in the brain, says PhD candidate Shiri Stempler of TAU’s Sackler Faculty of Medicine. Working with Profs. Eytan Ruppin and Lior Wolf of TAU’s Blavatnik School of Computer Science, Stempler has developed predictor models that use metabolic information to pinpoint the progression of Alzheimer’s. These models were 90 percent accurate in predicting the stage of the disease. Published in the journal Neurobiology of Aging, the research is the first step towards identifying biomarkers that may ensure better detection and analysis of the disease at an early stage, all with a simple blood test. It could also lead to novel therapies. “We hope that by studying metabolism, and the alterations to metabolism that occur in the very early stages of the disease, we can find new therapeutic strategies,” adds Stempler. Metabolism describes a set of chemical reactions in cells which sustain life by controlling processes such as growth and reproduction. It is also responsible for providing energy to the body. To delve deeper into the connection between metabolism, brain functioning, and Alzheimer’s disease, the researchers used data collected from the hippocampus region of the brain. Controlling memory and learning, this region of the brain is damaged as Alzheimer’s progresses. 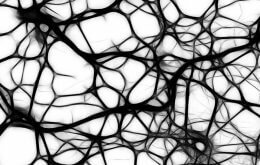 Based on the number of metabolic genes found in the neurons and surrounding tissue, they built a predictive model which relates abnormalities in these genes to the progression of the disease. Out of almost 1500 genes, the researchers were able to select 50 genes that were the most predictive of Alzheimer’s, says Stempler, noting that in Alzheimer’s patients these genes are either over or under expressed, meaning that there are either too many or too few. When they compared the findings from these 50 genes among Alzheimer’s patients, healthy patients, and primates (including chimpanzees and rhesus monkeys), the researchers discovered that in all but the Alzheimer’s group, the number of the specific genes was tightly limited, with little difference in their number between individuals among each of the species, she explains. This implies that these genes are significant to normal brain functioning, and their strict regulation in healthy patients is compromised by Alzheimer’s disease. Whether metabolic changes are a cause of the disease or merely a symptom remains a topic for future study. But the discovery of this connection is encouraging. “The correlation between metabolic gene expression and cognitive score in Alzheimer’s patients is even higher than the correlation we see in medical literature between beta amyloid plaques – found in deposits in the brains of Alzheimer’s patients — and cognitive score, pointing to a strong association between cognitive decline and an altered metabolism,” Stempler says. Next the researchers will try to identify biomarkers in the blood that are associated with these metabolic changes. They may lead to detection and information about the disease’s progression with an easy and non-invasive blood test. And as their work advances, Stempler hopes to develop therapeutic strategies that are based around these alterations in the metabolic network to help Alzheimer’s patients, such as medications that can re-introduce strict regulation over gene expression. They believe that the research is a promising direction for Alzheimer’s research. For more news about Alzheimer’s disease research from Tel Aviv University, click here.